I LOVE hosting Crochet Alongs. This year I asked in my Crochet and Conversation group (if you are not a part of this group, you are missing out, come join us) what they wanted me to design for this years Crochet Along. The answer was overwhelming… “BLANKET”! 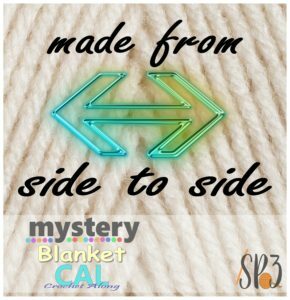 So, my initial thoughts went straight to cute baby blankets but when I inquired further, you all wanted a blanket for Adults! Well, this really stumped me for a LONG time-LOL! You challenged me, forced me to be creative and I am so glad you did. 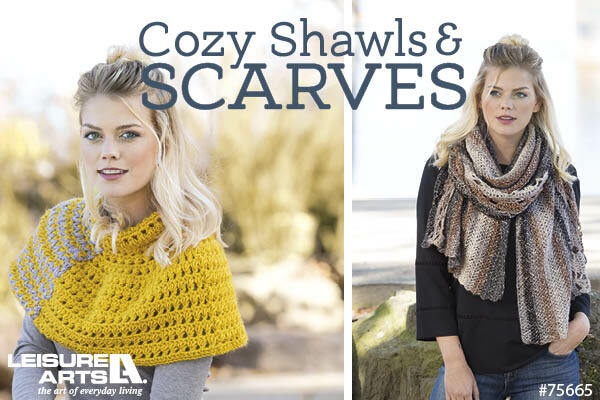 This years crochet along was designed just for you! When you are done with the main blanket, you are DONE!!! 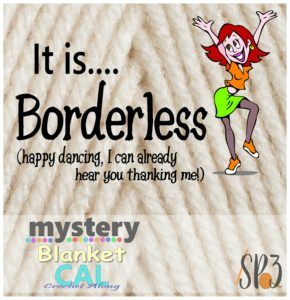 Yes, you heard me right, there is no border (I know happy dancing here too). You have no idea how difficult it is to make a blanket for a CAL, you need to have pieces and sections to make it fun. Take out the parts I know you all dread and this is what I was shooting for: there will be NO Sewing pieces together and NO Color Changing. The construction is a little different, you will not be crocheting the typical bottom up. You get to start working a side and crochet to the other side. 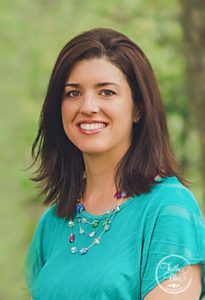 Something different and I think you will love it! Now, sometimes when you make a blanket the project can drag on for what seems like “forever”. This is why I tend to make mostly baby blankets. But, I decided to design a pattern that will work up pretty quick! How does this happen? 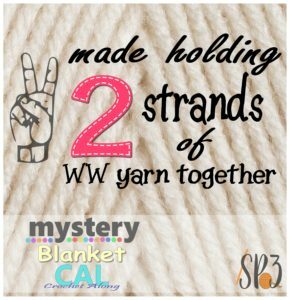 Well, simply work 2 strands of worsted weight yarn together at the same time and your project is done in half the time. 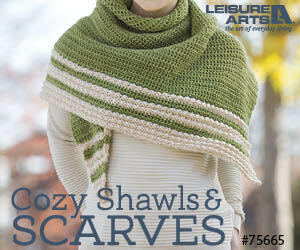 You may also choose to just use a bulky or super bulky yarn, but I LOVE how the 2 strands turned out! 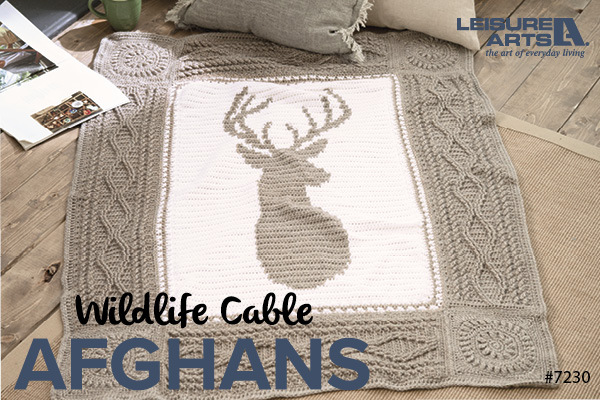 This technique of 2 stranded crochet results in the most plush, warm and comfy blanket that you simply cannot wait to wrap up in. Now for the fun part. This CAL will run mostly through the month of February and finish up in March. Our first day will actually begin on January 31st though, so don’t miss that! 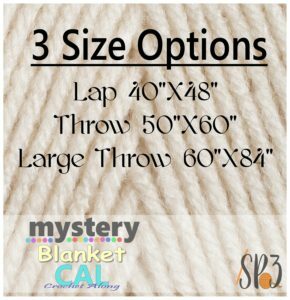 This will give you about 1 and a 1/2 weeks to purchase and receive all your supplies (listed in the ravelry listing). Once the CAL is purchased, you will receive an email to join the facebook group that was created just for this event. There will be live tutorials to show you each step of the CAL. 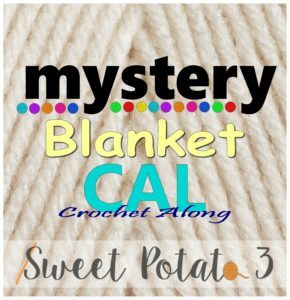 Join the Blanket Crochet Along today for the best discount. 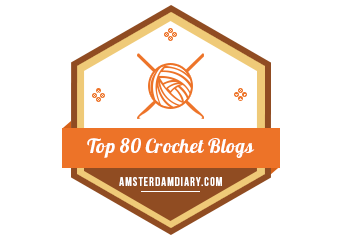 I hope to see you in the Crochet Along group. It really is so much fun to get to know everyone and see your amazing creations.